Booking Window: Must be booked by February 19, 2011. Disneyland has released a new package discount where guests can book a 3 night Disneyland Resort stay, and get the fourth night free. In addition, you will also receive a special $20 ESPN Zone game card to use during your stay. Availability is limited, and not all nights may be available. Travel must be completed by April 15, 2011. 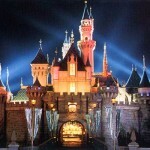 A minimum 2 day Disneyland Resort ticket must be included in the package to qualify. Only one free night per stay. This offer is valid only for the three Disneyland Resort hotels, though many if not all of the Good Neighbor resorts are being included. Please check with Pixie Vacations for availability of the discount at non-Disney resorts.